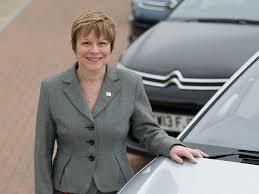 Citroën's top boss, Linda Jackson, has been named the most influential and inspirational woman in the British car industry after topping a poll of 100 female automotive leaders. The list, compiled by Autocar and the Society for Motor Manufacturers and Traders, recognises excellence in all areas of the industry. In addition to Jackson topping the list, there were seperate awards in design, product development, communications, Government affairs, manufacturing, purchasing, sales - brand, sales - retail, marketing and human resources. “It’s an honour and testament to the hard work from everyone at Citroën that has helped build on what has been such a successful few years,” Jackson said after receiving the award. In her four years as CEO at Citroën, Linda Jackson has overhauled the design, engineering, marketing, car naming policy and much of the range, leading to a 22% rise in European sales. Find out what Citroën has to offer with a wide range of vehicles available at Motordepot today.